In 2005 Shaun Owens was named Director of Bands for Bryan Station High School. Mr. Owens is in his twenty seventh year of teaching with the Fayette County Public Schools, his sixteenth year at Bryan Station High School. Prior to this assignment, he directed the Jazz Ensembles at Lafayette High School, was Director of Bands at Tates Creek High School and Assistant Director of Bands at Henry Clay and Bryan Station High Schools. Additionally, he runs an expanding on-line commercial website (www.shawk.com) providing musical resources via the internet. Mr. Owens received his Bachelor and Master Degrees in Music Education from Eastern Kentucky University. He has been involved with the marching arts since 1975 and was a soloist for 10 years with some of the finest organizations in the world including the Madison Scouts of Madison, WI. Mr. Owens has arranged and instructed music for many bands and drum & bugle corps throughout the United States. He has 3 Drum Corps International World Championships, two as a soloist and one as a teacher. 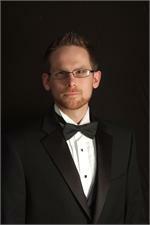 Shaun Owens is currently the director of the Lexington Concert Band. The band is made up of professional musicians who are members of the American Federation of Musicians. The concert band performs for civic events in Lexington, as well as other public performances sponsored by the Music Performance Trust Fund. 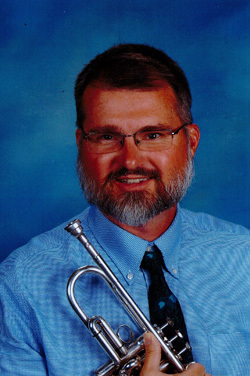 Mr. Owens has served on the Board of Directors for the Kentucky Music Educators Association as All-State Jazz Coordinator where he was responsible for selecting clinicians for the jazz clinics at the annual in-service conference as well as his duties in coordinating the All-State Jazz Ensemble. He has also served as host for Fayette County Middle School Honor Bands and the KMEA District 7 High School Honor Bands. A native of Pennsylvania, Mr. Owens has been lead trumpet with professional and university big bands including Dennis Oliver’s Madison Jazz Orchestra, the American Jazz Express and Lexington’s Men of Note. He has played for several heads of state including Jimmy Carter and George Bush, and has performed with Richard Davis, Don Menza, Wycliffe Gordon, Jeff Jarvis, John Stevens and Roger Pemberton. He continues to maintain a regular performance schedule as a freelance trumpeter. Mr. Owens lives in Lexington with his wife Krista, and their two sons, Harrison and Samuel. Calvin Schmieg was appointed Associate Director of the Bryan Station Band in 2018. Mr. Schmieg holds a Degree in Music Education from Morehead State University as well as a Master of Music Degree with emphasis in Conducting from the American Band College of Sam Houston State University. Mr. Schmieg is a member of NAfME, KMEA, and PAS. He remains active as a musician by performing with the praise band at Calvary Christian Church in Winchester. He lives in Winchester with his wife Chelsea and children Sophie and Brody.